June 13th, 2013 | Wheaton World Wide Moving. A category of content called The Move Itself that provides a variety of advice to help you prepare to move in the smartest, most efficient way possible. A category of content called After You Move that provides a variety of advice to help you every possible post-moving issue. 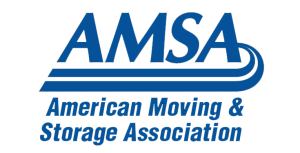 The AMSA also administers the ProMover consumer protection and certification program, the symbol of a reputable licensed moving company. Wheaton World Wide Moving is a certified ProMover moving company. Wheaton World Wide Moving hopes that you found our series of Web site recommendations helpful. Which site was your favorite? Comment and let us know!